On January 1, 1991, the Seneca Lodge of Sullivan Trail Council in Elmira merged with the Wakanda Lodge of Steuben Area Council in Bath NY. As was the practice at that time, new lodges created by council mergers took the lower lodge number. This happened to be #186, which represented the Wakanda Lodge (later in 1993 when the General Sullivan Council was annexed TKaen DoD #186 took the lower Winnigus Lodge #30). The winter fellowship at Camp Gorton in February 1990 saw Arrowmen from both Wakanda and Seneca Lodges come together to design a new flap and to pick a lodge name. Ken Masteller was adviser of Wakanda at the time of the merger and Mike McCarthy of Elmira was the lodge adviser of Seneca Lodge. The new lodge also had co-chiefs, Brian Eno from Seneca Lodge and Mark Kosty from Wakanda. The merger was a very harmonious merger since most of the lodge officers had participated in a two council contingent troop at the 1989 jamboree. The merger was so positive that the chiefs were asked to lead a session at the 1990 NOAC, held at Indiana University, on how to promote the true spirit of brotherhood when lodges are forced to merge due to council mergers. The council name of Five Rivers had already been selected from a council wide contest held during 1989. At the winter fellowship the Arrowmen wanted to have a lodge name that complimented the council name. Since the "five rivers" merged in Painted Post and since "Painted Post's” origin was Senecan (Chief Montour stands in the center of the village), the Arrowmen wanted to find out the Seneca name for "Painted Post." Chiefs Eno and Kosty traveled to the Seneca reservation near Syracuse to talk to Myrtle Peterson. Mrs. Peterson was the instructor on the reservation of the Senecan language. When the chiefs met with Mrs. Peterson she told them that the Senecas never had a painted post. The post that existed in the Painted Post area was not "painted". This plain post had been used as a type of bulletin board and when the white settlers moved into the area they painted it. To paint this post was desecration to the Seneca people. Mrs. Peterson suggested to our chiefs that they name the lodge TKäen DoD meaning "Land of the post". 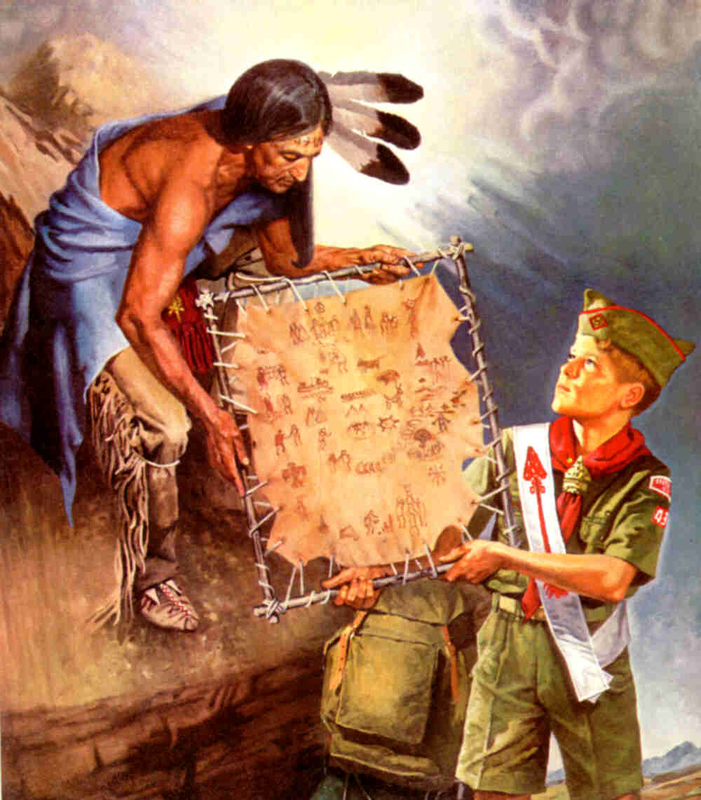 By doing this they would honor the Seneca people, compliment the council’s Five Rivers name and be a name that the idea and research had originated with the youth of the lodge. TKäen DoD was thus born and has been our lodge name since the spring of 1991.